Let me first start by saying I do not personally know Steve Huff and have only watched a handful of his YouTube videos. I have not dug into what he does or tested the validity of his work. I do want to share some information about him, for those who may not know, and show how one person attempts to expose him as a fake. You can make up your on mind as to which side you believe. 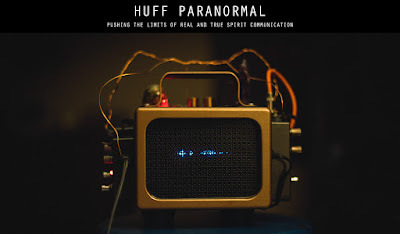 First lets give some information about Steve Huff and Huff Paranormal. Steve Huff has been around for like 7 or 8 years in the paranormal world. He has amassed a very large following on Youtube with over 300 thousand subscribers. 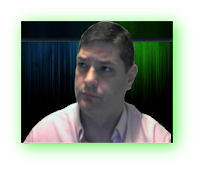 He runs a very successful website, Huff Paranormal, where he showcases some of his work. Mr. Huff's main focus is with ITC equipment. ITC stand for Instrumental Trans Communication, most people just simple know this device as a Spirit Box. He actually builds a couple different spirits boxes himself. One is called the Wonder box and the other "Portal". You can sometimes find these for sale on ebay and they are not cheap but many other devices of this type are not cheap either. 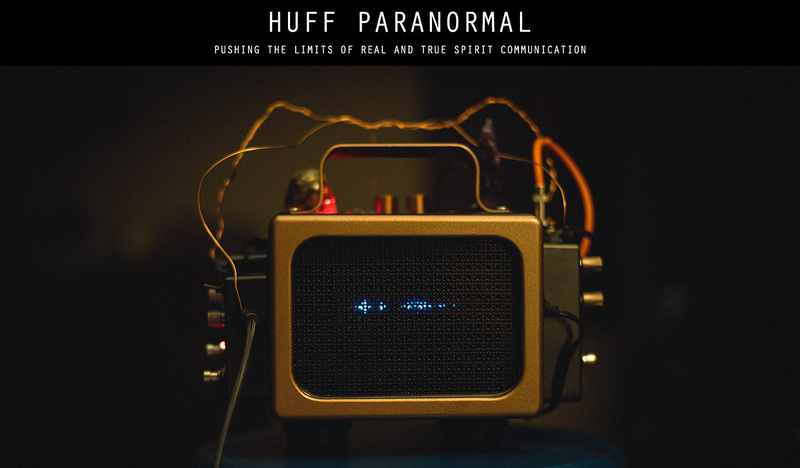 Huff uses these spirit boxes to communicate with people in the spirit world. This is something that almost all paranormal investigators attempt to do. Huff has found unparalleled success in capturing these EVPs. Some of his most popular captures seem to be those where he communicates with famous dead celebrities or other famous people. One such video features famous comedian Robin Williams. He has others that feature such stars as Jim Neighbors, Harry Houdini, Thomas Edison, and now a new one with the very recently departed Art Bell. On his website, Huff, claims that "Nothing I post here is fake, made up or drummed up...." but many have challenged his claims and evidence. For me on a personal level, I think some of his claims and his evidence is very questionable. Well, according to Youtube user Order Of Magnitude - The Paranormal & Personal, this following video clearly show that the voice speaking through the spirit box is a from another video. More information and links after the video. Here is the video. Now, if all this information is correct, it appears at least some of Huff's videos contain faked EVPs. This is not good for the paranormal field in general but just like in the Bigfoot arena, it is something we have to deal with all too often. Now, I will offer a little bit of my opinion. As stated I don't know Mr. Huff and have only listened to a handful of his videos. But after listening to that handful, I felt they were not on the level and just too hokey for me. Huff does have a very large following and this revelation of possible hoaxing has not seemed to have any effect on his paranormal appeal. As for me, I know and have captured real EVPs, so the idea that someone hoaxed evidence does nothing to change my mind about paranormal activity. This is much the same with Bigfoot research. Just because someone fakes a Bigfoot sighting does not mean all Bigfoot sightings are fake. So, in the end each person has to make up their own mind as to who warrants their attention and time. Thank you for finding the truth and sharing it with us. Again against Steve. Are you jealous? Don't you have other things to do to ? You must be a very bitter and bored man to grave so deep in anothers life. But hey, hope you are Lucky with it. ha ha .. you mean you don't have anything better to do than defend a man who is hoaxing people and lying to them? A man who is making money from lying? Boy, you must be a naive person to defend such a lowlife. Thanks this will really help people. I hate seeing people be so naive! Hi. Im order of magnitude. Huff and co are trying to surpress the information about there fraudulent practices and false flagged my channel. Im hoping it is reinstated soon. Actions of an innocent party right? If the video gets re-instated please shoot me a link and I will add it back. The video clearly showed he took voice samples from another video that was not his and used them as a EVP. Good job ... I thought as much. I just sat here for 3 hours watching his videos completely convinced they were real my mouth has been wide open the whole time in complete belief. So thank you for saving me from making a complete fool of myself. I guess I'll just go back to eating my sandwich.